If convicted of “drunk driving” or “drunken driving” in North Carolina (it’s technically called DWI in NC) your license could be revoked for a year or more. That’s a long time without being able to drive around, get to work, or handle your personal matters. Even after the revocation has ended, the NC DMV often has certain eligibility requirements and conditions that must be met before your license can be reinstated. *Eligibility for license reinstatement after a DWI conviction, and the length of the suspension, depends on the facts and circumstances surrounding your case and your driving record. Contact a criminal lawyer to determine what is required for your specific case. Each case, like each criminal charge, is different. When Does a License Revocation Begin After a Conviction? Revocation should start the day you are convicted of DWI in criminal court, but there can be delays affecting when notice of revocation is transmitted to NC DMV. It can be complicated, especially if you were already revoked or suspended for a Willful Refusal or some other legal basis for suspension by DMV. If convicted, you will be presented a form called a DL-53. In part, the DL-53 indicates whether you have a valid license in NC (or another state) and further serves as an acknowledgement that you will not drive a motor vehicle on the public roads or highways of North Carolina until properly licensed by NC DMV. For a DWI in NC, normally revocation expires one year after your conviction date; however, you must also meet the NC DMV eligibility requirements in order to have your license reinstated. There may be other, additional legal basis for suspension of license. Furthermore, the period of suspension can vary due to several of factors, including a conviction for DWLR in NC (driving while licensed revoked). We strongly recommend you consult with an attorney to discuss the specific circumstances of your legal matters. Are These Eligibility Requirements Ordered by the Court? 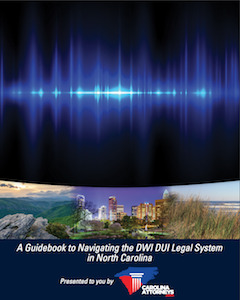 The license reinstatement requirements are mandated by the NC DWI laws. Action undertaken by NC DMV, while related to a conviction for driving while impaired, are technically separate from any terms of judgment or DWI sentence ordered by the court. 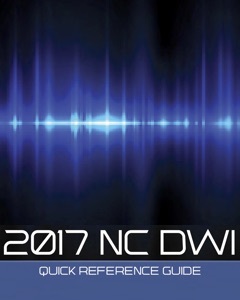 The Judge in court is given broad discretion in determining an appropriate sentence for DWI charges in North Carolina. It’s important to understand the Judge has wide authority to consider a lot of different options including jail, probation, court costs, treatment, and fines. Failing to comply with the conditions of your criminal DWI sentence by order of the court may also impact your ability to reinstate your NC license. Obtaining a substance abuse assessment and completing the recommended treatment may be ordered by the court as part of your sentence AND required by the NC DMV in order to reinstate your license. Pursuant to N.C.G.S. 20-17.6, the NC DMV must receive a certificate of completion, also known as a 508 form, directly from an assessment agency (that has been approved by the N.C. Department of Health and Human Services) once treatment has been completed. Most assessment agencies like to review your Uniform Citation or breath test ticket (blood results). The date you can have the interlock system removed may vary. We recommend contacting NC DMV prior to having the device removed to confirm you will receive full credit for the condition of restoration. What if My License is Suspended Indefinitely for Multiple DWI Convictions? If the NC DMV has indefinitely suspended your license for other traffic tickets or criminal charges, you may be eligible to request a DMV restoration hearing. There is such a thing as a permanent revocation in North Carolina for multiple DWI convictions which may preclude this opportunity. In order to determine whether you are eligible to request a hearing, you should consult with an attorney experienced in handling DMV matters. Questions About Getting Your License Reinstated After a DWI? The attorneys at Powers Law Firm PA help people with a wide range of different legal matters in both North Carolina and South Carolina, including DWI in NC, DUI in SC, misdemeanors, felonies, traffic tickets, and expungements. 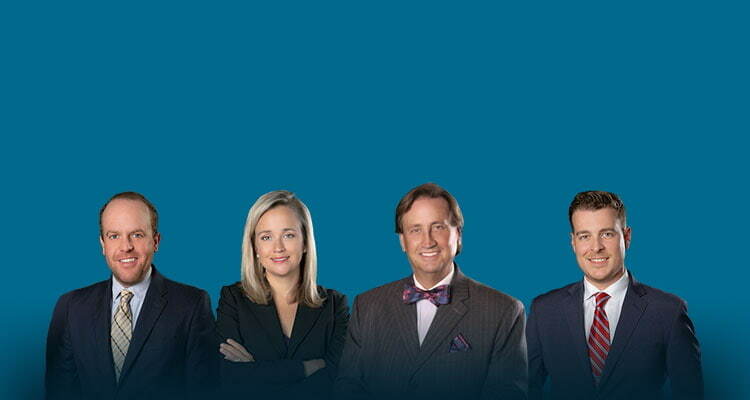 Attorneys Megan Powell and Bill Powers are licensed only in North Carolina. Attorney Chris Beddow is licensed in both South Carolina and North Carolina, as such Chris Beddow is solely responsible for handling all legal matters for the firm in South Carolina. If you have been convicted of an impaired driving offense and have questions about reinstating your license (or getting an NC DMV restoration hearing), it is important to speak with experienced legal counsel. For criminal charges, it doesn’t matter if it’s a misdemeanor or felony charge, we offer completely free and confidential consultations.